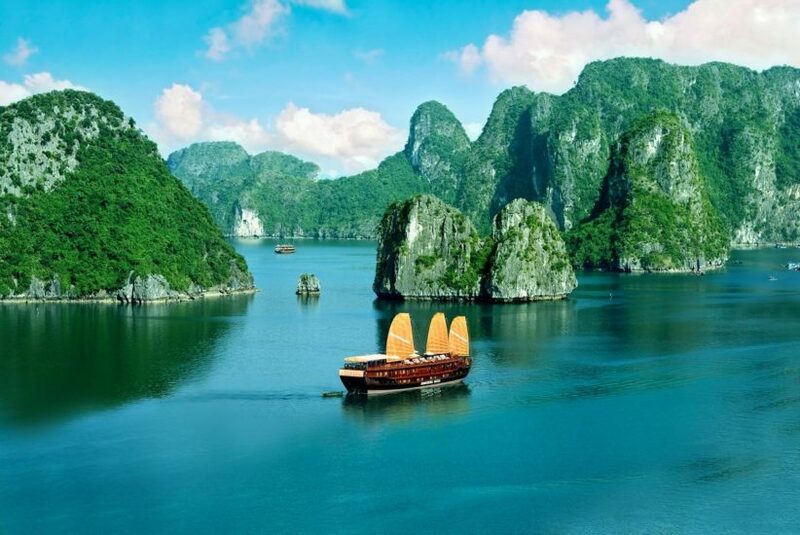 Halong Bay is a famous tourist destination of Vietnam. It is located in North East Sea of Vietnam. With thousands of magnificent islands, miraculous creation of nature, Dragon Pearl cruise halong bay has been recognized by UNESCO as natural heritage of the world. September is one of the most beautiful times of the year to travel Halong. And if you intend to start off a journey exploring Ha Long in September then refer the following tips before departure. – The distance from Hanoi to Halong is 170 km long, with travelling duration of about 3 or 4 hours. 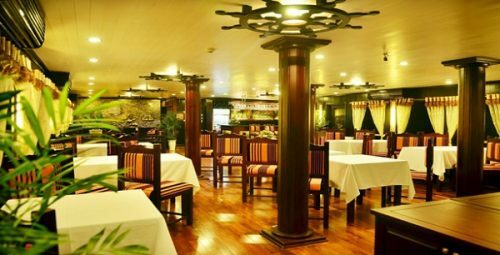 – The price of hotels, restaurants in Dao Garden, Bai Chay, Hon Gai … is lower than in Tuan Chau Island. Halong’s weather in September is usually forecasted very pleasant and cool. At this time in Halong, the temperature is lower, the annoying heat of summer no longer exits. Tourists can enjoy a very relaxing and amazing holiday here. 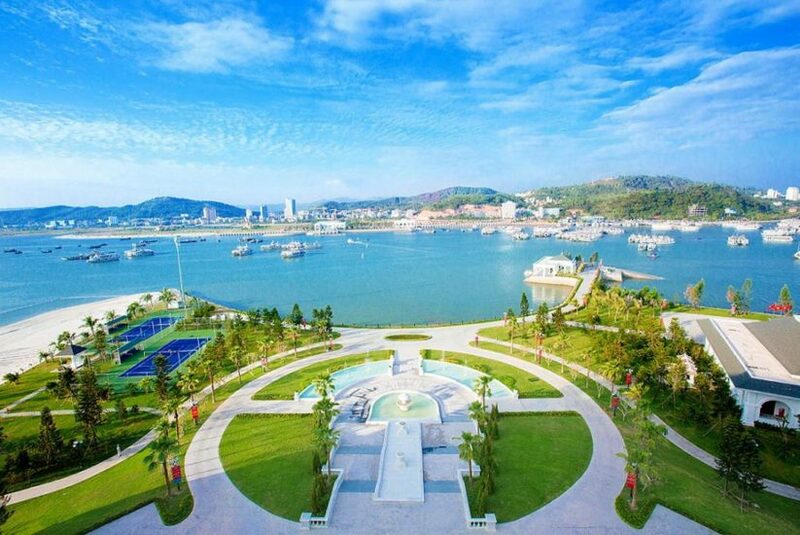 With cool and clear atmosphere in September and the charm of blue sky, white clouds, crystal-clear sea water, mystery undulating islands,… Halong will bring to visitors the most magnificent and splendid sceneries in the year. – Coach: From Hanoi bus stations such as My Dinh, Luong Yen, Gia Lam Bus Station, visitors 5can choose many good-quality and prestigious coaches to Halong such as: Phuc Xuyen, Ka Long, Hoang Long. With average price ranges from 100,000 – 200,000 VNĐ, tourists will travel to Halong with a period of from 3 to 4 hours. + Ha Noi – Bac Ninh – Halong: 155 km with duration of 3 or 4 hours. You should go according to the road: Hanoi route 5 – Sai Dong three-way crossroads: 10 km – Sai Dong Road 1 – Bac Ninh: 23 km. From Bac Ninh, you follow the road 18 – Pha Lai – Chi Linh – Dong Trieu – Uong Bi – Halong: 122 km. + Ha Noi – Hai Duong – Halong: 170km: This is a convenient road from Ha Noi through Hai Duong city to Nam Sach Town, you turn along Highway 183, pass Sao Do, Dong Trieu, Uong Bi, and finally arrive at Halong. This route also takes you from 3 to 4 hours. + Ha Noi – Hai Duong – Hai Phong – Halong: 160km. You should follow the road: from Hanoi go through Hai Duong City, Quan Toan (Hai Phong) then turn to Highway 10 connecting to National Highway 18A in Uong Bi Town to Halong. It takes you from 3 hours to 3 hours 30 minutes. + Noi Bai Airport (Ha Noi) – Bac Ninh – Halong: 160km. With the duration of 3 hours, the journey as follows: From Noi Bai Airport (Hanoi), you go to Bac Ninh (32km) then drive along National Highway 18A, pass by Pha Lai, Sao Do, Dong Trieu, Uong Bi to Halong. – Train: Travelers take the train from Hanoi to Halong in the 5-hour period with more than 100,000 VND. 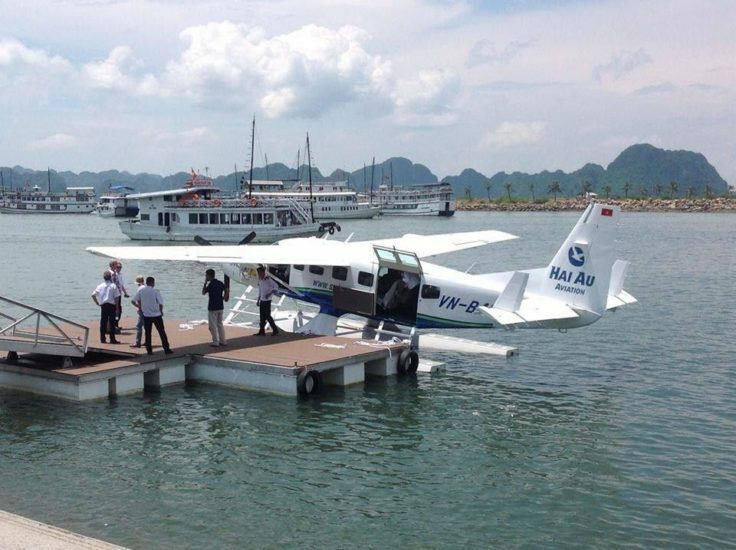 – Seaplane: Instead of wasting 3 – 4 hours on the way, today it only takes travelers 30 minutes to arrive at Halong Bay when choosing seaplane of Hai Au Airline. The price of ticket ranges from 5 to 7 million. Transport in Halong is also diverse and easy to catch. Guests can go around by taxi with the price of about 10,000/km. Moreover, tourists can also experience special motorbike taxi of Vietnam. The average price of motorbike taxi from bus station to Bai Chay is about 15.000 to 30.000 VND. Ship: ordinary ships or boats cost people 150,000 VND / hour, and deluxe yachts cost from 250,000 to 1 million VND/ hour. – Kayaking: You will be allowed to self-row an adventurous Kayak boat, discover hidden beauty of Halong. Kayaks are made of composite plastic, rubber or inflatable boats with oars. Areas such as Hang Luon, Ba Dung Dao, Ba Ham, Dau Be, Hang Co … are suitable places for kayaking. It usually costs from 100,000 to 200,000 VND / hour. Visiting floating villages: Famous villages in Halong such as Vung Vieng, Cua Van, Cong Dam … are the typical floating villages of Ha Long, you should experience peaceful and quiet life of local people here. It is certain that you will have unforgettable memories there. – Watching sunset and sunrise in fall season of September is great experience that Halong offers to visitors during their vacation here. – Eating seafood: Halong in September evening might be cold, visitors do not forget to enjoy hot seafood hot pot or hot grilled dishes. Fresh and delicious seafood here… would bring about wonderful experience in Halong. Halong in September is extremely breathtaking and astonishing. Do not miss this chance to travelling and experience Halong tourism. Hopefully, the tips shared above will help visitors have a smooth and exhilarating trip here.